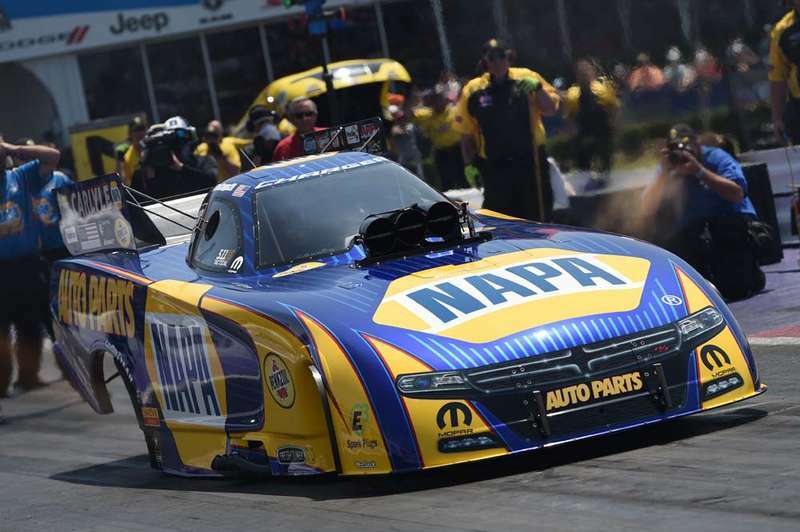 BAYTOWN, Texas (May 1, 2016) – Ron Capps already is counting the days until the next NHRA Mello Yello Drag Racing Series event in two weeks near Atlanta, which is the home of NAPA AUTO PARTS. 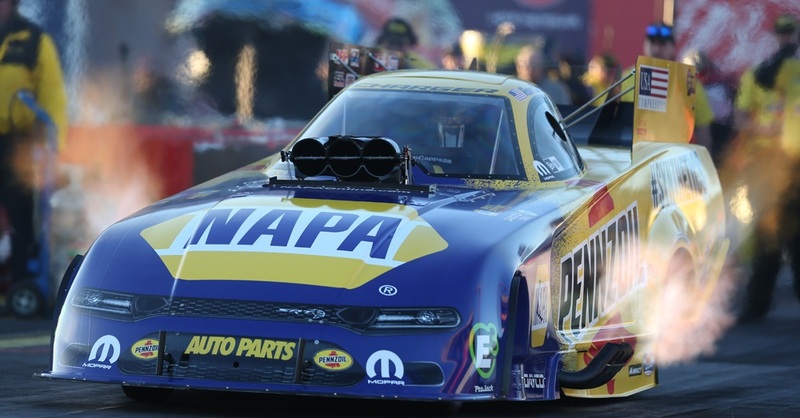 The second winningest Funny Car driver in NHRA history wanted to carry the NHRA Wally trophy from winning the title Sunday in the NHRA SpringNationals near Houston but an engine issue prevented him from advancing to the semifinals. 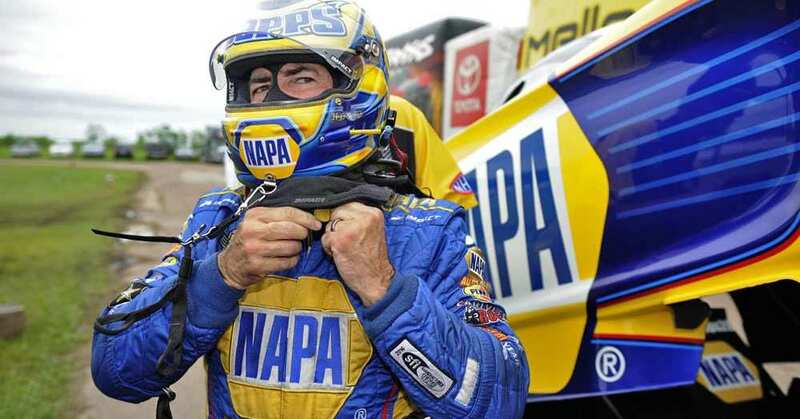 After leading Don Schumacher Racing’s four Dodge Charger R/T Funny Cars in qualifying with a best time of 3.953 seconds at 321.27 mph to earn the No. 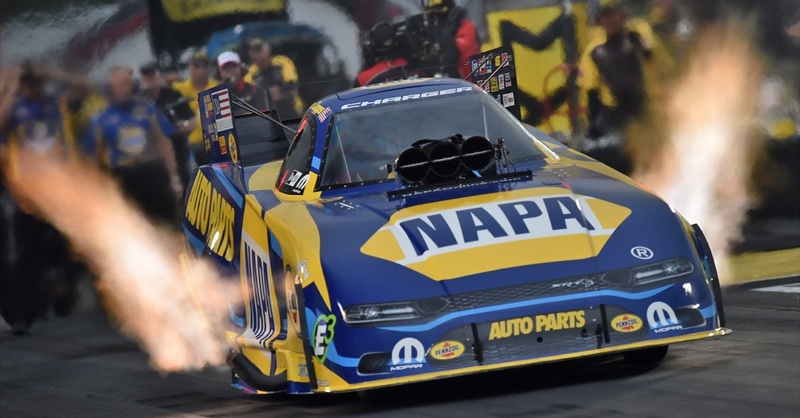 6 seed for championship eliminations, Capps started the day by edging out former world champion Cruz Pedregon with a time of 4.032 to Pedregon’s 4.037. 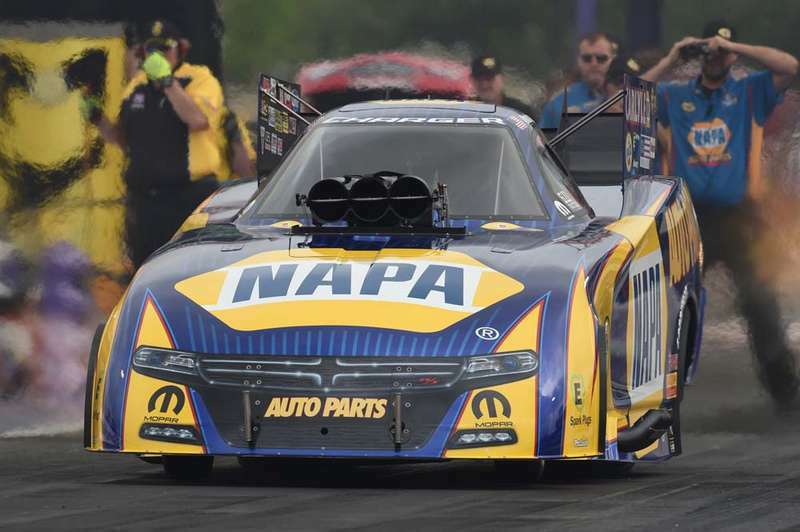 But in the second round, a dropped cylinder slowed Capps to 4.674 seconds (179.56) and he lost to eventual event winner Courtney Force’s 3.962. “It was a great, close race in the first round against Cruz, then in the next round for some strange reason it decided to drop the No. 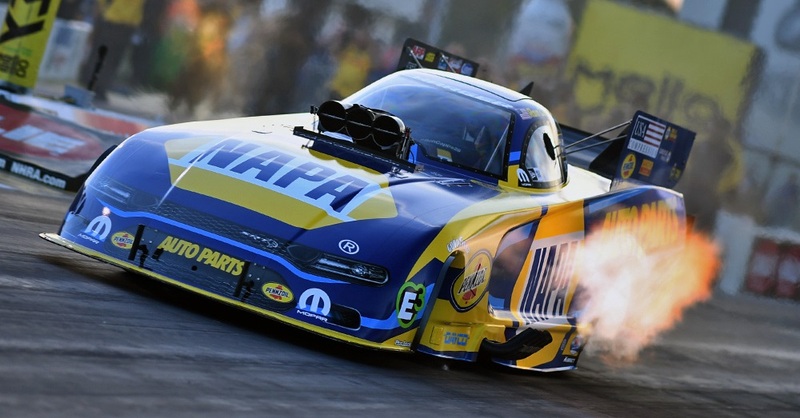 2 cylinder,” Capps said. 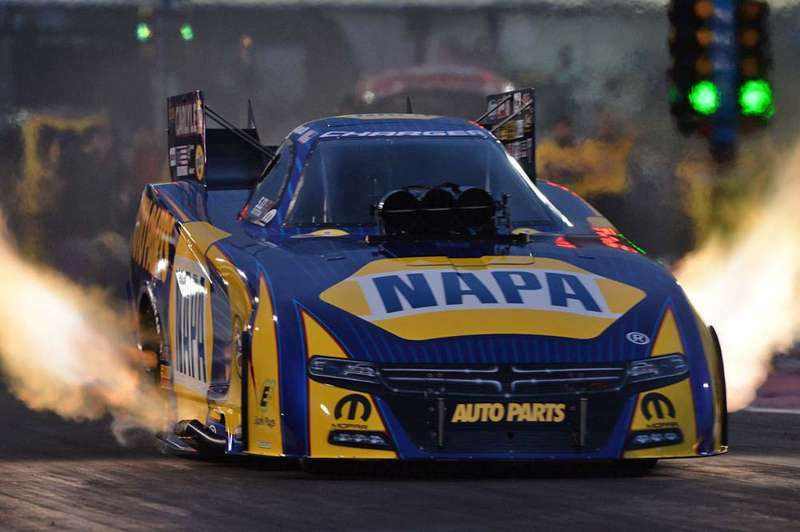 “We’ll look and figure out why but there’s just so much volume of fuel that goes through this 11,000-horsepower engines it’s just something that can happen. 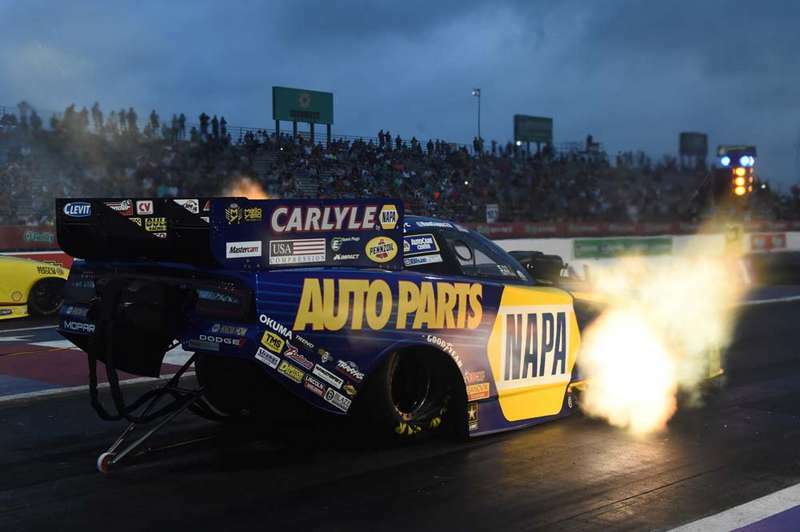 The three-day event in Baytown, Texas, about 30 miles east of Houston was a weatherperson’s nightmare and even worse for nitro crew chiefs. Conditions went from overcast and muggy Friday, sunny and muggier Saturday before Sunday was overcast with not as much humidity but cooler with a slight drizzle midafternoon. 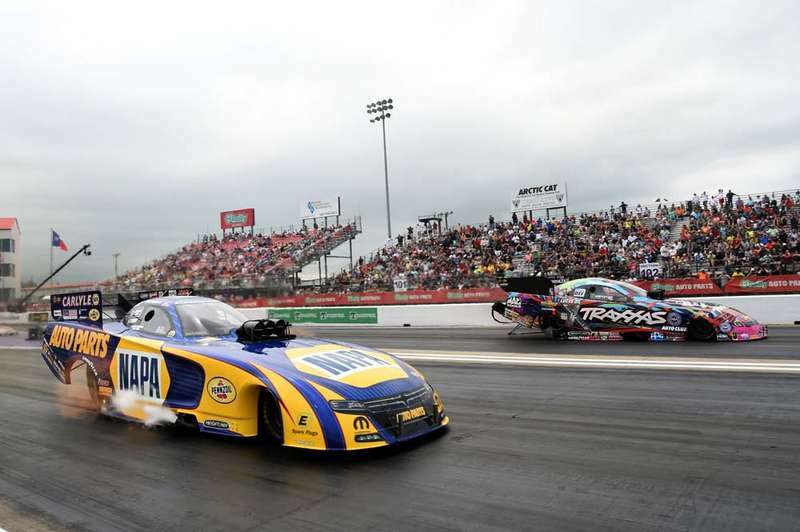 Capps first-round win enabled him to erase a seven-point deficit in the Mello Yello championship standings and retake the points lead for the first time since after the second race of the season. 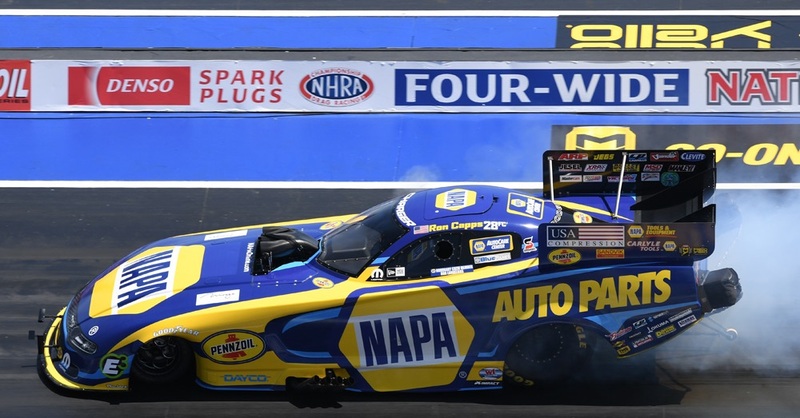 But when pole winner Tim Wilkerson, who has won two events this year advanced to Sunday’s final round Capps dropped to third and is 22 points out of first.